In the music industry, a blanket license is used to give blanket permission to use any music from a specific catalog. A blanket license usually is used in a situation where issuing individual music licenses for each piece or each use would be cumbersome. Although the term "blanket license" can have a few different applications, one common blanket license occurrence that people are likely to encounter in the music industry is a blanket license issued by a performance rights organization, such as Broadcast Music, Inc. (BMI) and the American Society of Composers, Authors and Publishers (ASCAP), for the music they represent. These licenses are issued to radio stations, venues and other places that host public performances of music. Before you can understand how these music licenses work, you have to understand a little bit about how performance rights organizations work. Songwriters and publishers each join a performance rights group independently to register the works they represent — 50% of a song is credited to the songwriter by the performance rights group and 50% to the publisher. Songwriters are only allowed to join one performance rights organization, so they must register all of their works with that one group. For instance, if a songwriter joins BMI, then BMI exclusively represents that songwriter's entire catalog. Publishers, meanwhile, need to have memberships with every performance rights organization in the territory in which they represent songwriters. That way, they can claim their 50% share of the compositions their songwriters write from each performance rights organization, regardless of which one the songwriter joined. For instance, if a publisher has one songwriter with a membership at ASCAP and another at BMI, the publisher has to have a membership at each of those groups to manage each songwriter's catalog. When the publisher joins a performance rights group, that group represents the publisher's entire catalog of work composed by songwriters with memberships in the same group. In other words, if a publisher joins BMI, then that one membership puts BMI in charge of representing for the publisher all of the works of all of the songwriters that have publishing deals with that publisher, plus BMI memberships. Performance rights societies then use these exclusive rights to allow them to issue blanket licenses. A group (perhaps a radio station) will go a performance rights collection group and apply for a blanket license to be able to use the music represented by that group. The performance rights group will charge a fee to issue the blanket license. The license allows that applicant to then use all of the music represented by the group. For example, if a radio station is issued a blanket license by ASCAP, then that license gives them the right to use all of the music represented by ASCAP on their station. For this reason, most venues that host public performances of music need blanket licenses from each performance rights society. Continuing with the example of radio stations, it would be difficult for a station to survive by only playing the music of one society's members — only playing music written by writers who are ASCAP members would exclude the station from playing a major hit that happens to have been written by a writer with a BMI membership. When a blanket license is issued, the recipient must comply with certain tracking and reporting guidelines set out by the royalty collection group. The purchaser may be required to turn in playlists for a certain period of time, or to report the setlists of shows played in their venue. These reporting criteria vary depending on who is using the music and how, as well as between performance rights agency. The fees for blanket licenses also vary wildly, depending on how heavily the license recipient uses music and how large of a listener base they reach. 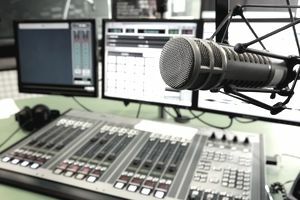 Large radio stations can pay millions in blanket licensing fees, while very small venues and businesses may only need to come up with a couple hundred dollars per year to get a license. The licensing fees collected from blanket licenses go to pay songwriters and publishers.